While speaking at the Uganda Annual Judge’s Conference (January 28, 2019), President Museveni of Uganda said that “Somalia is not a state,” implying that there is no “organized authority” in Somalia. 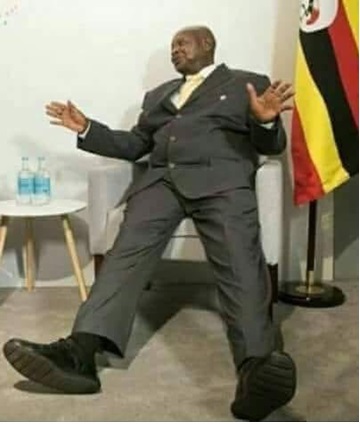 At a minimum, this utterance by one of the longest-running autocratic ruler in sub-Sahara shows nothing more than his impaired judgment; it is also an indication of how Mr. Museveni failed to observe the minimum decorum of international diplomacy. To set the record straight, Somalia is a state recovering from a failed state caused by a civil war. Despite unheard difficulties that Somalis faced during and after a devastating civil, the nation is still together, and the sovereignty and territorial integrity of Somalia as a state is intact. Mr. Museveni talked about how nations require to belong to one origin in order to be called nation states. That is correct. If any, his statement explains Somalia more than any other African nation. As matter of fact, Somalis are the only people in sub-Sahara Africa that belong to one single ancestry. This unique attribute kept the Somalis together and saved their sovereignty in the face of trying times. If a small percentage of what had happened in Somalia was experienced by Uganda, the nation state that they inherited from Great Britain would be thrown into the dust pine in a short period of time. In other words, Uganda does not jabe the resilience the Somali nation has to withstand pressures. In the last 18 years, five presidents and more than 8 prime ministers have transferred power peacefully to respective legitimate winners through elections observed by a world community. While establishing a more democratic second republic may sound erratic and at times messy, establishing democracy by nature is like going through a birthing process. Ours is not exception to that. This aging autocrat came to power in the 1980s and has ruled Uganda thus far with an ironclad. Kids who were born at that time when Museveni usurped power are in their 30s. They have not seen any other leader except Museveni. Imagine if Carter was still the US President. Millions of Americans would have been deprived of the experience of Ronald Regan, George H. Bush, two terms of Bill Clinton, two terms of George W Bush, two terms of OBAMA with his audacity of hope, and of course Trump. The people of Uganda have been deprived of the real experience of what it feels to experience representative government. The Simple dream of hoping that tomorrow would be different and a better day is not in the vocabulary of Uganda citizens, thanks to a former guerrilla fighter-turned an autocrat. Museveni has also the infamy of introducing to sub-Sahara Africa one of the most devastating political philosophies called “One-dominant party rule.” It is the same philosophy that guided the likes of Meles Zenawi and his rebuked EPRDF and others. In so many ways, the Somali average is freer and has a more optimistic outlook into the future than the average Ugandan. This is what the average Somali Mohamed’s political expectations are: he will experience a national election in 2021. He sees that he has a choice to vouch either for Farmajo (status quo) or go for a new one. In addition, two possible regional elections in Jubbaland and Galmudug are expected. Puntland, one of the first federal entities in the country, has just concluded its sixth presidential election and elected Said Deni, thus far a man with many positive accolades. Somaliland, despite its unresolved issues with Mother Somalia, has rewarded its residents with strong democratic experience. Commerce in Somalia is conducted in one of the most liberal environments in Africa. Mogadishu is roaringly coming back to life with its historically vibrant trade; lights don’t go out in Garowe, Hargaisa, or Mogadishu. Compare this to that of the average Uganda Obote. He is a tortured citizen who has been living under the rule of one of most notorious dictators in sub-Sahara Africa, and he is less sure of tomorrow; his people cannot express even the most benign view about their government or their legitimate rights as citizens for they must first get permission from a commissar around their neck of the woods. Museveni owns Uganda. According to a 2017 New York Times article, “Museveni steals when he doesn’t need to.” He stole from the nation so much that he may not even live long enough to enjoy the bounty he collected; yet he keeps stealing. Ugandans go to bed praying for their dictator to pass away in his sleep. On the other hand, the average Mohamed in Somalia prays that his government continues the course of improvements, and the stated objectives of inclusive politics go on unabated. Somalia has been on a hopeful trajectory since the Arta agreement which mandated the establishment of a representative sytem of governance. It has a bright future to look forward. Uganda, on the other hand, is cursed at least for now with an autocratic ruthless ruler who will be there until he expires. Uganda beats Somalia in one arena: It has the military might to control its people, including their freedom to think. Somalia, on the other hand, is recovering from civil war and people are hoping tomorrow will be a better day than today and certainly yesterday. I rather live in a Somalia that is filled with tomorrow’s hopes than in Uganda where prospects are dim.